Granulomatosis with polyangiitis (GPA) is a systemic necrotizing small vessel vasculitis associated with circulating anti-neutrophil cytoplasmic antibodies (ANCAs). Skin manifestations, mostly represented by palpable purpura, papulonodular lesions and livedo reticularis, are present in up to 50% of the cases. Ulcerations with undermined, raised erythematous–violaceous border resembling pyoderma gangrenosum (PG) have rarely been reported as skin involvement in GPA. The presence of circulating ANCAs with a cytoplasmic labelling pattern, the involvement of internal organs, particularly of the lung, and the absence on histology of a mainly neutrophilic infiltrate in early phases of the cutaneous lesions may be regarded as clues to rule out true PG and confirm the diagnosis of GPA skin ulcerations simulating PG. 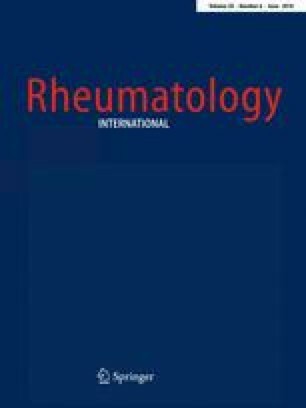 Herein, we describe two paradigmatic cases of such a unique presentation of GPA and a literature review focusing on clinicopathological features of GPA presenting with PG-like ulcerations in the skin has been provided. Moreover, referring to the scenario observed in these two cases, an easy-to-use working approach for the differential diagnosis between the two conditions has also been proposed. We would like to thank Dr. Maria Laura Jannone Molaroni for her help in reviewing and interpreting CT scans and Dr. Thomas Fazio for his assistance in English language editing. The cases were diagnosed and followed up by AVM, FR and EB. AVM, FR and GG conceived and planned the presented case report. GG and AVM wrote the manuscript with support from ST, EB and FR. Pathologic evaluation was performed by EB and FR. Literature data were analyzed by GG and ST under the guidance of AVM. All authors read and approved the final manuscript. Written informed consent was obtained from the patients prior to submission of these case reports and any accompanying images.